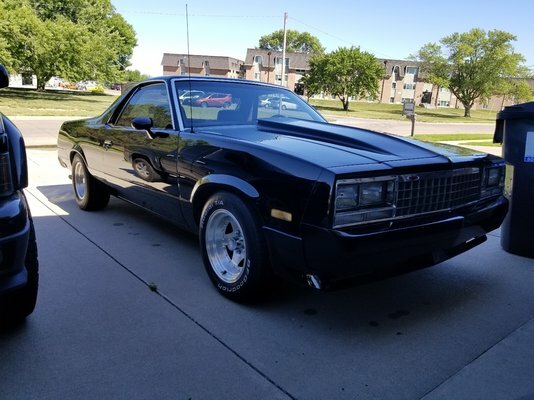 So a little over a year ago I decided it was time to do something with my 1982 EL Camino. I've had it since about 1996 as a junior in HS. Its been through a couple makeovers etc. 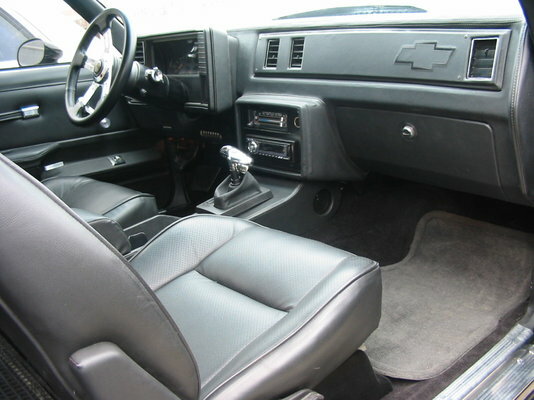 Originally two tone with all the trim, then repainted metallic black and rebuilt the 350. Then later changed the wheels, replaced the 350 with a 383, did some suspension upgrades, repainted it gloss black and had a customer interior done. 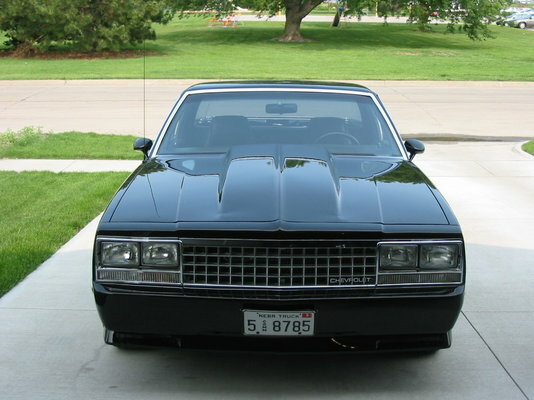 It was a pretty nice ride and other than the undercarriage, pretty nice all over. I eventually bought a 69 camaro, 66 Nova, 58 Apache and now a 61 Apache. 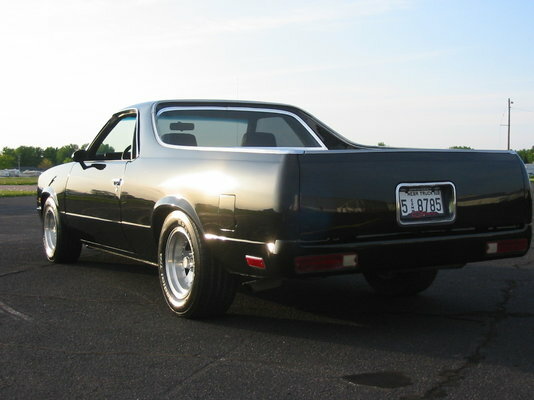 Those took up all my time and space, so the Elco basically got stored away. 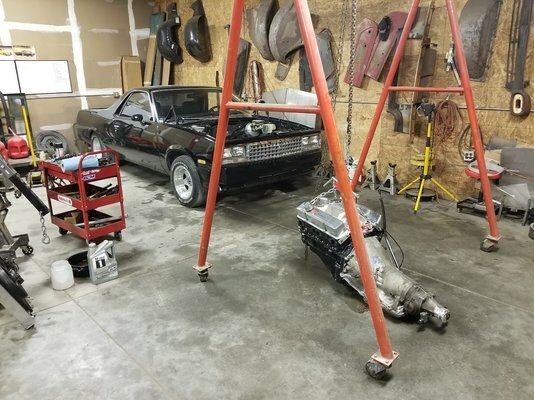 I wound up selling the 66 Nova and just before getting the 61 Apache I decided to tear into the EL Camino, doing a quick LS swap with a turbo or two. 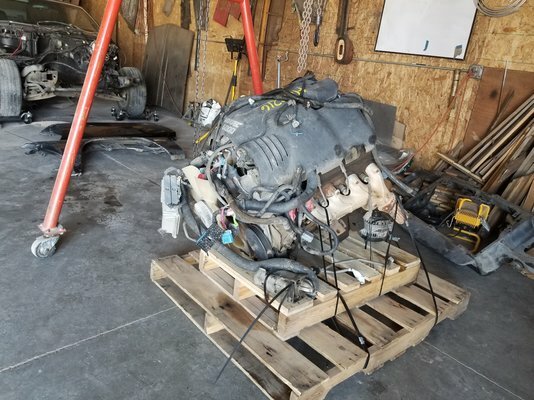 I pulled and sold the 383/TH350 to a friend and purchased a 6.0 truck engine and got it out to be rebuilt/setup for boost. 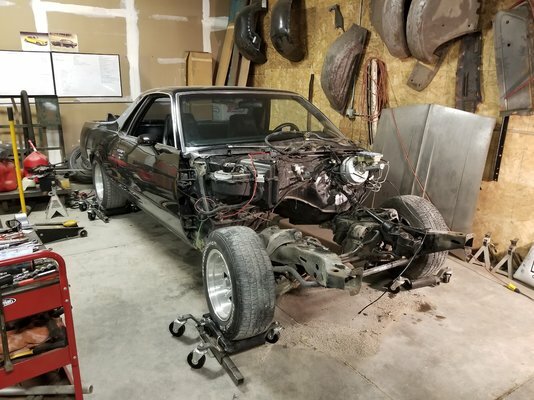 Then got sidetracked doing a lot of work on a 69 Camaro for my boss but now with that out to a custom shop for finish work, I'm onto the El Camino for good now (so that I can get to the wifes 61 Apache of course ; ). What was gunna be a quick LS swap and maybe change out the wheels has turned into a frame off rebuild but I'm glad it has. It needed it and I can't wait to get it all together. Quick vid so buyer could hear the 383 before pulled. 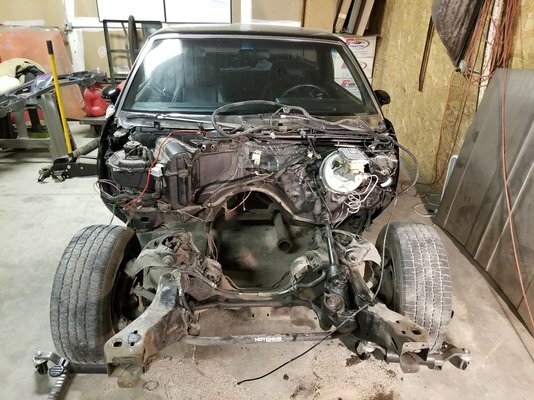 Teardown starts and the first 6.0 I received turned out to be junk. Rusty cylinders but the yard exchanged it no problem. 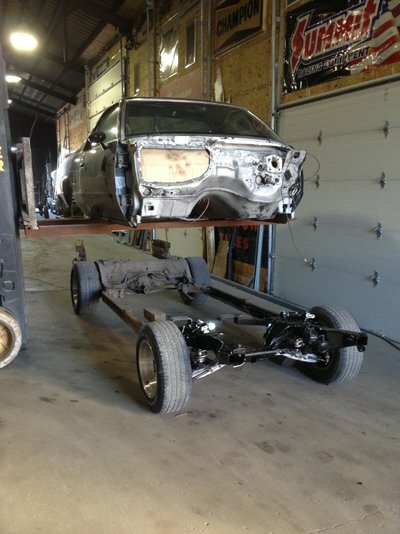 Sent the car off to get the under body and frame blasted. 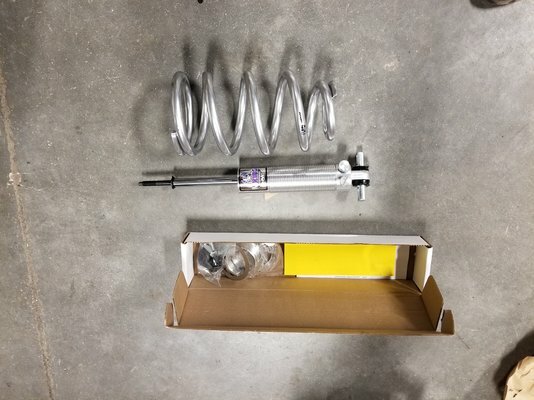 New spindles and corvette brake upgrade with coilovers. Picked out some wheels, would later have the outer lip painted gloss black. 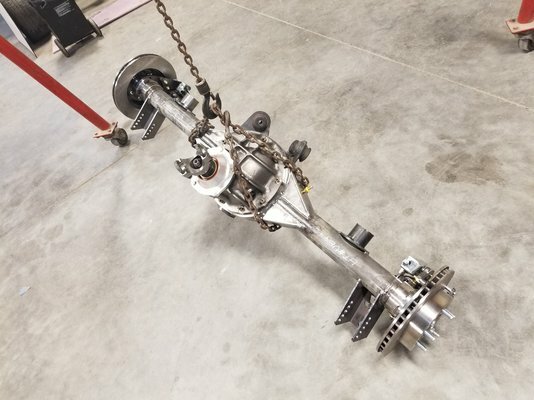 Quick performance 9 inch ford rear with 3.90s and getting the body off the frame. 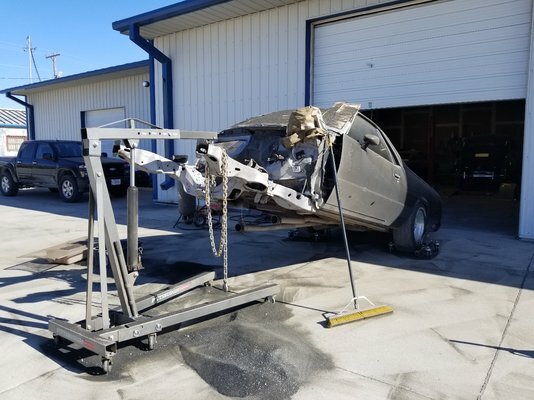 Boxed the frame. 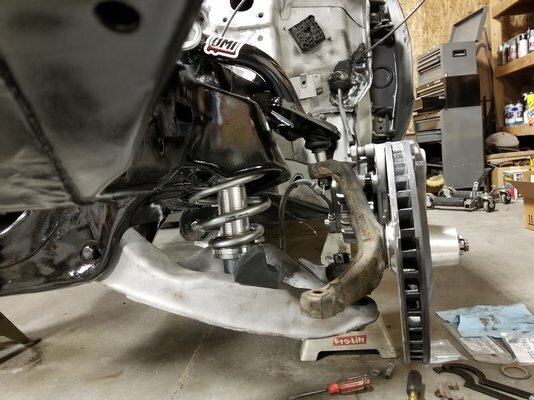 Added UMI frame brace and welded it in. 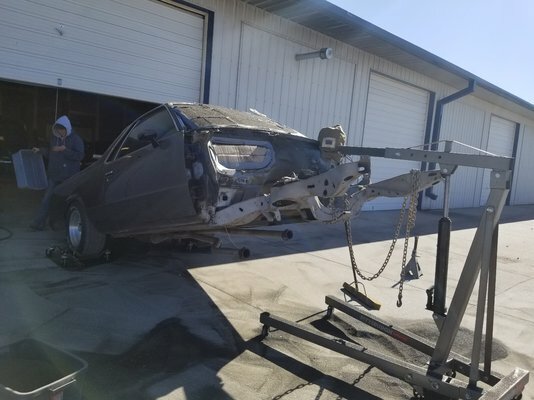 Had to fix the forward body mount holes in the frame and found a little cancer at the body mount points just before the rear tires. Decided to being notching the frame and just trying to get an idea what the wheels/tires might look like. Added some bracing to the frame here and there. I didn't want to go nuts but felt like this was adequate for what I want to do with the car. 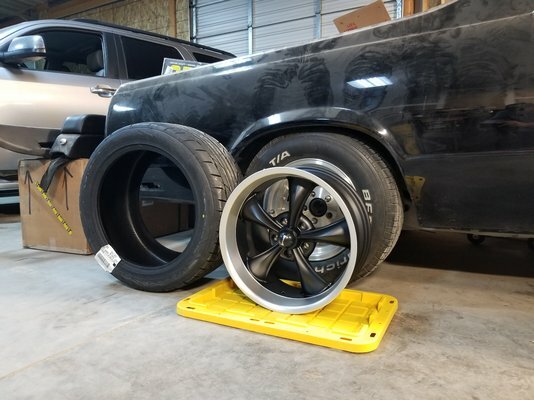 Going with 285/40/18 tires and I purposed had the rear made 1 inch more narrow than stock. I'll end up using .5 inch spacers on each side but I felt like that might give me some flexibility later on other wheel choices if needed. I wanted to remove the side marker lights but as removed the paint and filler under that I found this section was already patched in a few places so decided to cut the whole mess out and put in a new piece. Made filling the marker hole on this side easier anyway. Did the side marker on the other side, no issues there. 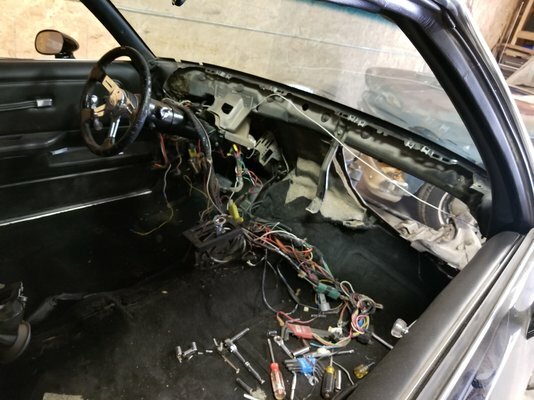 Final fitment of the 69 Camaro dash I'm putting in. 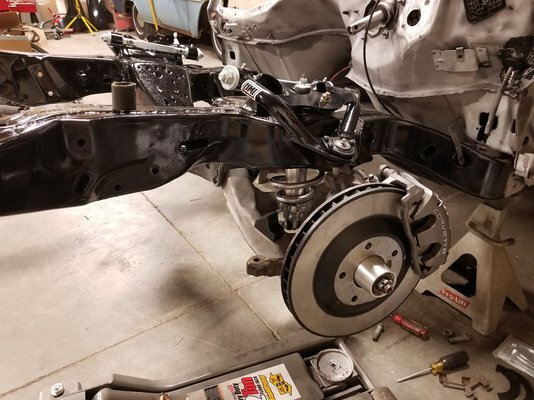 primed and painted the underbody with some eastwood satin black 2k. Going with just a small vintage air heater. Don't want the complication of AC in the engine bay with all the turbo stuff that will be going on in there ; ). I had some rust bubbling up on the lower front quarter areas and figured nows the time to cut out all the rust. Its amazing how much rust is on the other side when you're just seeing less than 1/4 inch of it on the outside.